More than 3 billion of the worlds population survives on less than $2.50 a day. Wait, $2.50? Yep, our morning coffee just about makes the amount of a day’s spend for 3 billion people. According to UNICEF, 22,000 children die every day due to poverty.Lack of sanitised water, nutrition and correct medical care severely deteriorates an individuals health, especially younger ones who are unable to defend for themselves. Mind staggering statistics but luckily, we have awesome heroes doing something about it. 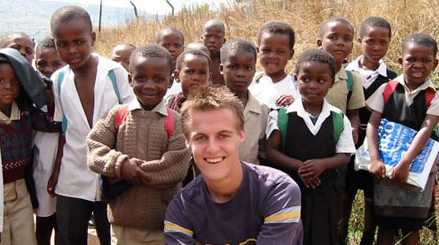 This week, we look at the work of co-founder and CEO of The Global Poverty Project, Hugh Evans.